A lovely warm west facing terrace on the top floor of an old warehouse overlooking the city. 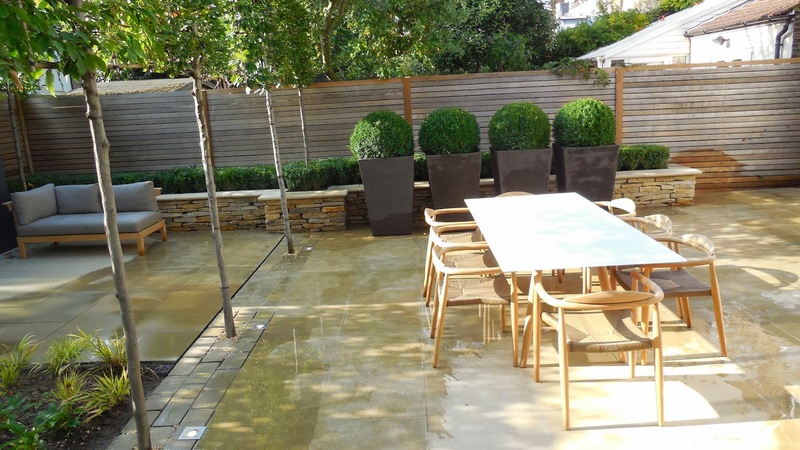 The decking was removed and replaced with oversized porcelain tiles set on pedestals to regulate the uneven floor. 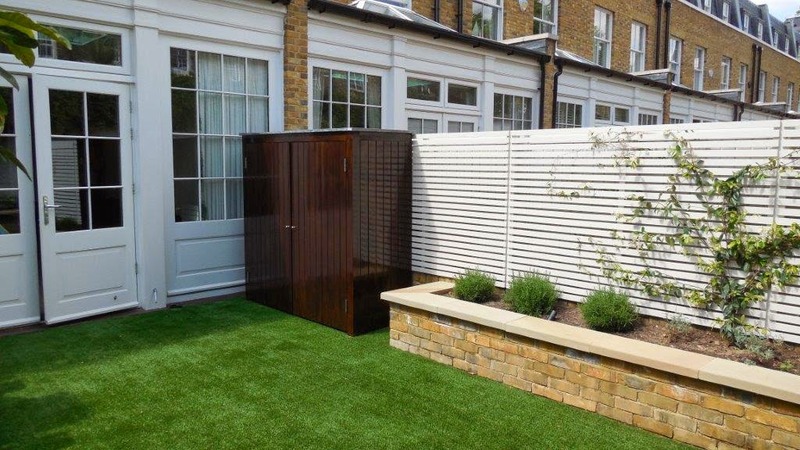 Outside the balustrade we installed powder coated metal containers planted with a boxwood hedge on either end and a panel of sweet box under planted with white agapanthus, helebores and ferns. 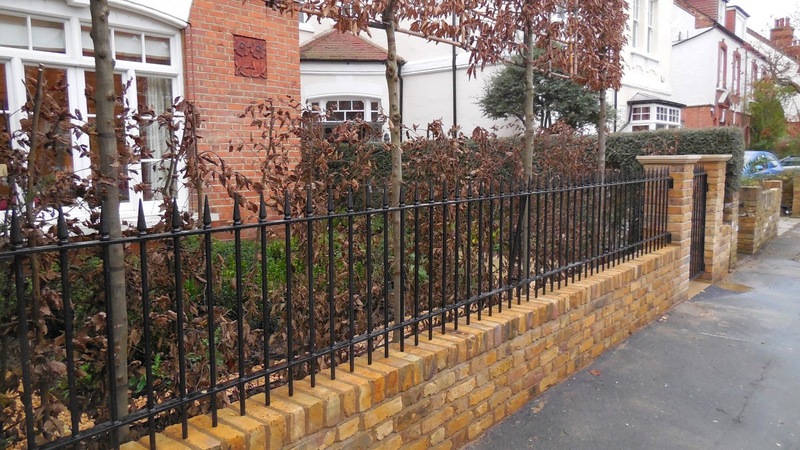 The planters were secured to the balustrade with discrete metal brackets. 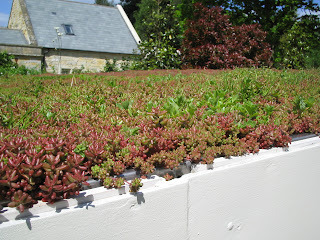 All plantings were irrigated with a simple automatic irrigation system to help prevent dessication in the drying winds. We wanted to see if the beautiful Piet Oudolf style of prairie planting would work on a small scale in a small garden location no larger than 4 metres x 4 metres. These images are from the first year following of planting and combine Echinacea 'White Swan' with Veronica, Eryngium 'Silver Ghost', Fennel and Hakonechola grass. The central galvanized steel sculpture was chosen by the client and perfectly compliments the organic planting style. 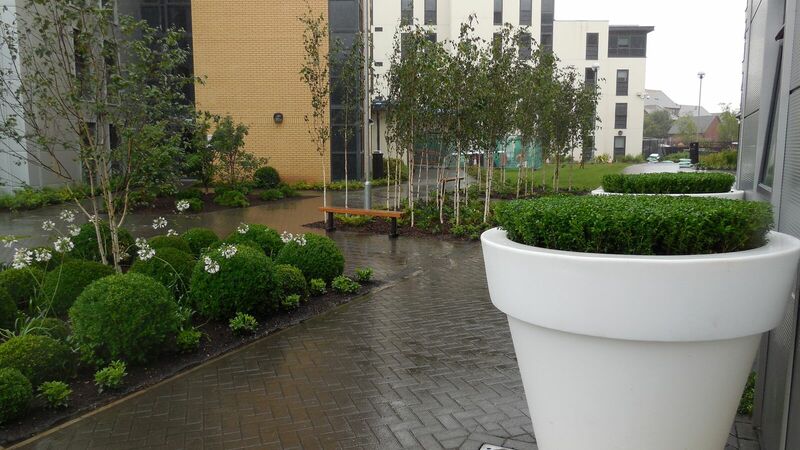 Upgrading the landscape areas around a modern student accomodation facility in South Wales. Over scale white polypropylene pots were planted with a low carpet of boxwood and placed beside the doors to reception to identify this within the arrivals area. The pots are illuminated internally at night. Tow of the existing beds were planted with a dense mass of young Silver Birch under planted with helebores, Pachysandra and ferns. The soil was dressed with a course grade bark. 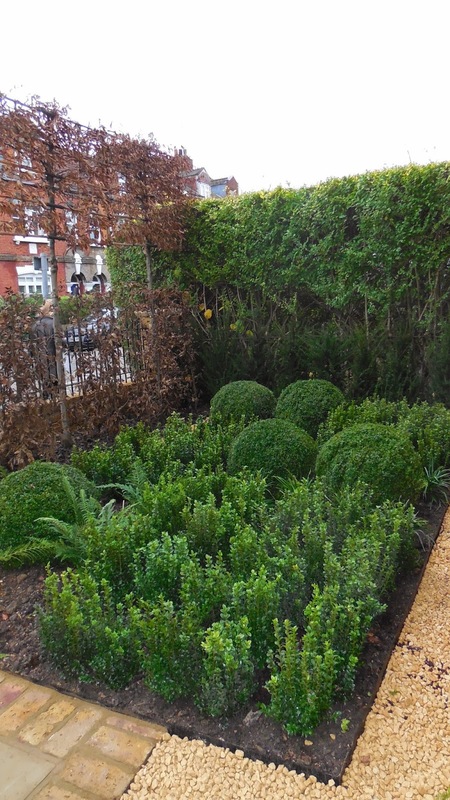 A sculpture garden of different sized boxwood spheres was planted directly outside reception. These were under planted with Agapanthus for summer colour . Other beds on the site were planted with a vibrant mix of hot summer flowering Helenium mixed with Cornus Winterfire for winter colour. 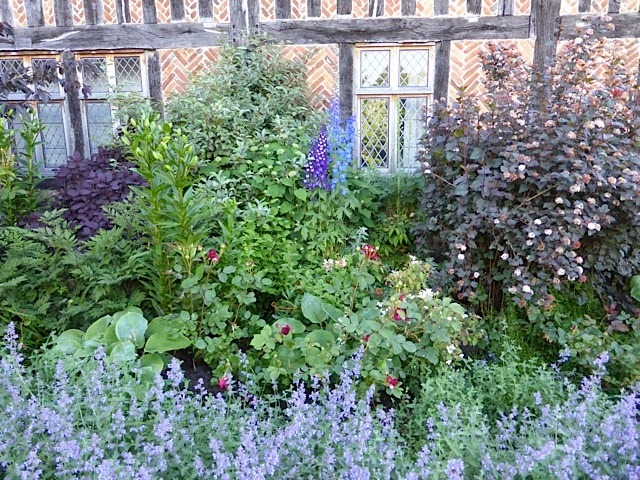 Panels of dark blue Agapanthus and Geranium Johnsons Blue were introduced in drifts amongst existing Viburnum tinus and Hebe 'Sutherlandii, to improve summer colour. All beds were dressed with a fine composted bark mulch to help water retention and disguise the poor soil left by the developers. 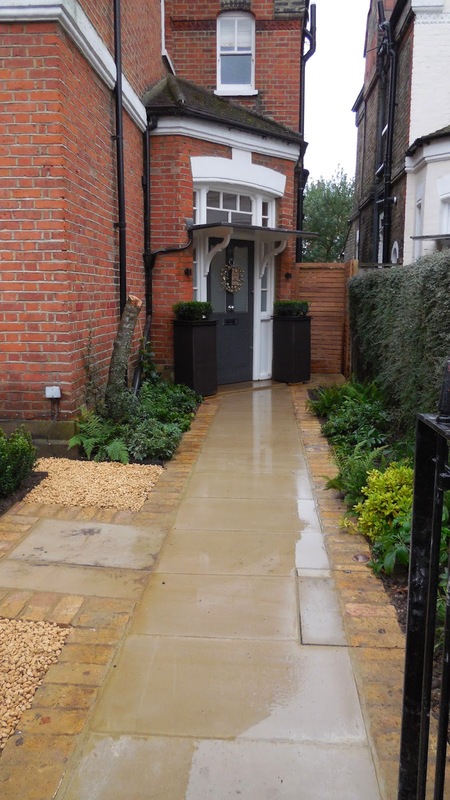 A nice planting scheme for a shady basement installed last week. Floor tiled in traditional Victorian black and white tiles, mirrored in the wall lattice. 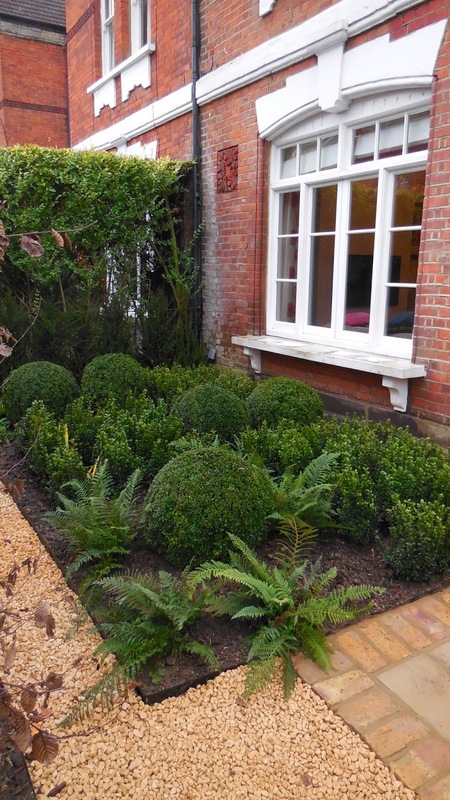 Bespoke versailles planted with evergreen ferns and boxwood topiary. raised deck to accommodate hot tub and a storage unit for the BBQ. Top of unit contains a herb garden. 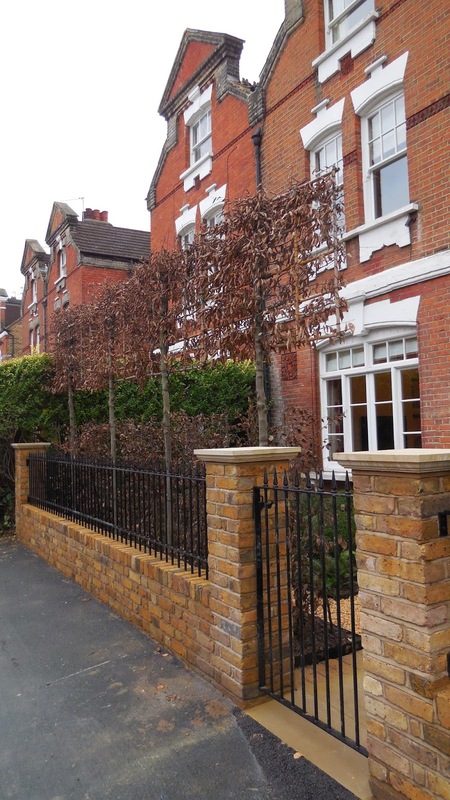 cream coloured clay pots planted with large Japanese Maples provide screening to the neighbouring property. 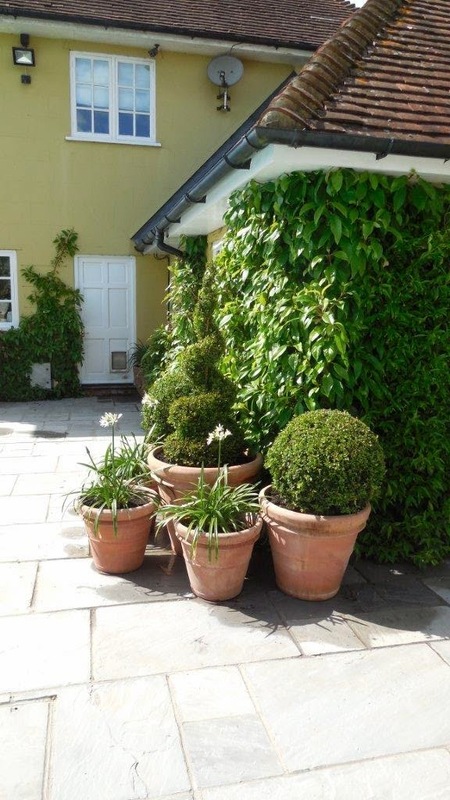 over sized black clay pots planted with large boxwood spheres provide a backcloth to the dining area. Fire place structure has been built, and oversized york stone flags delivered ready to lay. 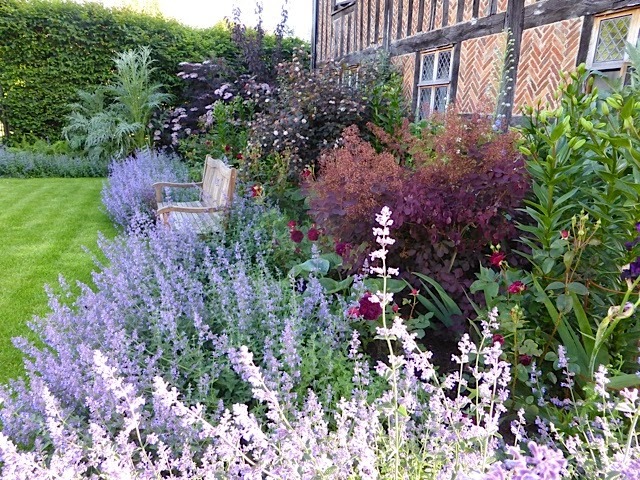 Cottage garden planting in the formal garden are developing under the careful management of the site gardeners. dramatic sun yellow painted slatted screen on the right hand side of the garden to compliment the interior colours and the fruit on the specimen Eribothryia. 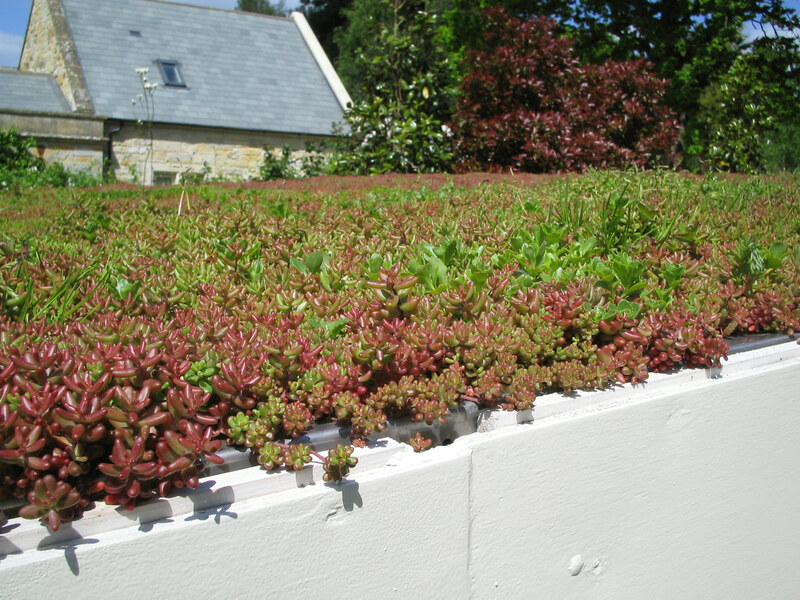 A Sedum roof laid over a new car port to help screen the structure from a neighbouring property located uphill. 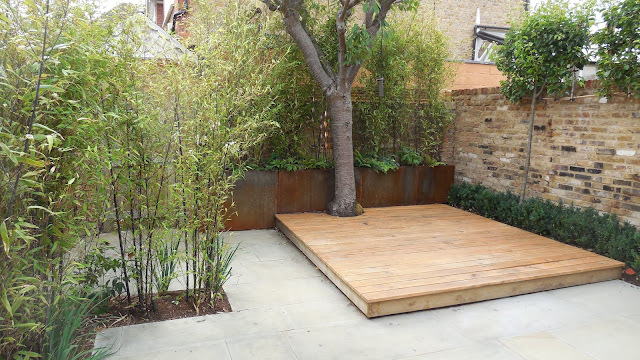 Tall black stemmed bamboo were also planted in our clients property to screen the neighbours house. 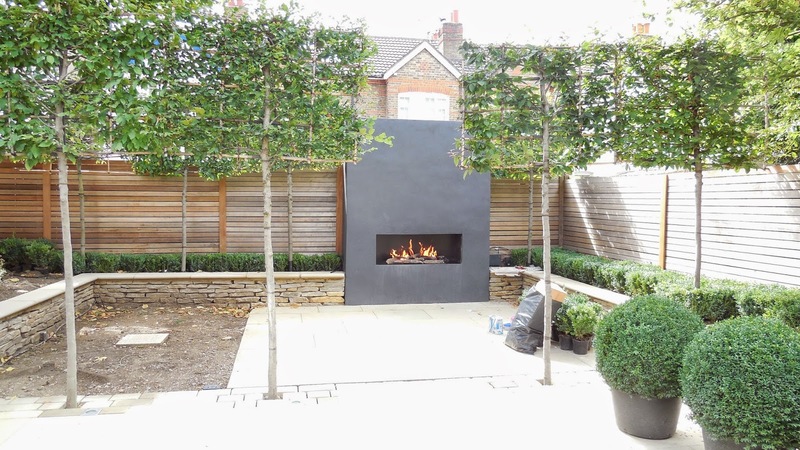 We used an unusual combination of flat drystone walling and silver Birch retaining logs used to create a low wall in this north London garden. 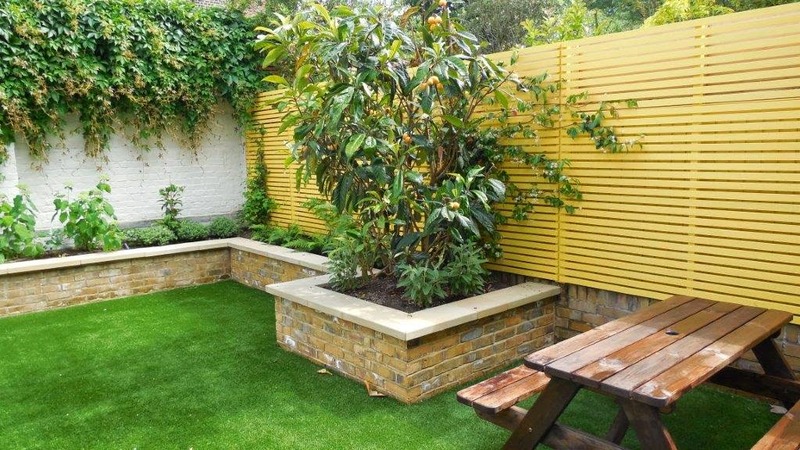 Subsequent planting included structural evergreens, prairie style grasses and herbaceous plants to create a loose natural effect. 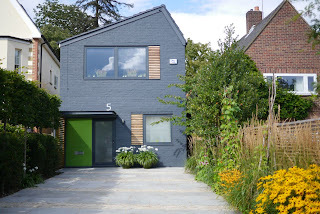 This beautiful front garden was created for a pair of stylish designers living in a unique detached house in South London. Parking was important so the central area was left clear and paved in random Yorkstone with inset strips of granite cobbles. 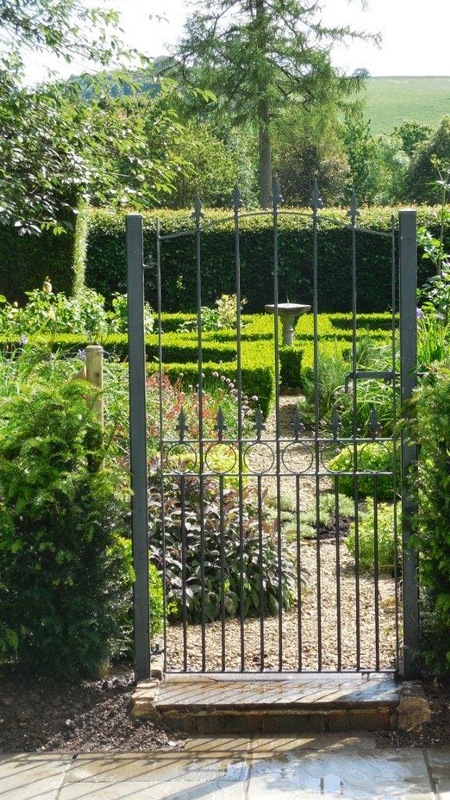 Screening on the left hand side was achieved using pleached hornbeam trees underplanted with yew hedge and panels of evergreen jasmine. The colourful 'prarie' style bed on the right hand side includes Echinacea, Helianthum, Calamagrostis grass and brich wigwams of runner beans and yellow squash. The new scheme using hardwood decking inset with hardwood 'cobble' detail. 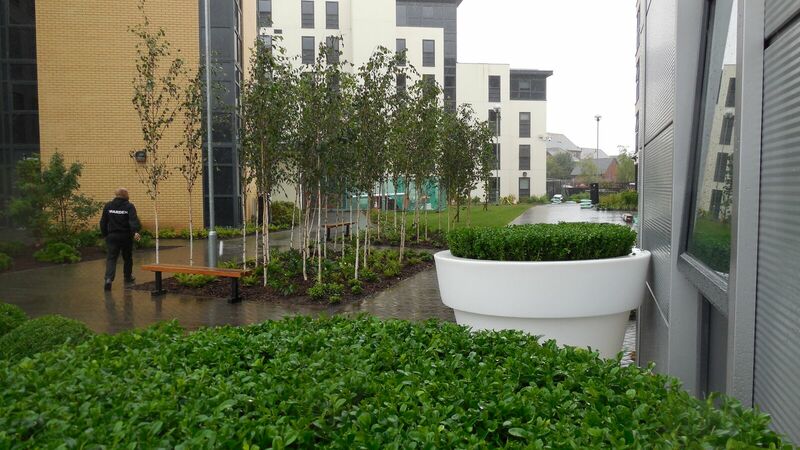 Container planting in bespoke clay planters using strong structural evergreens. 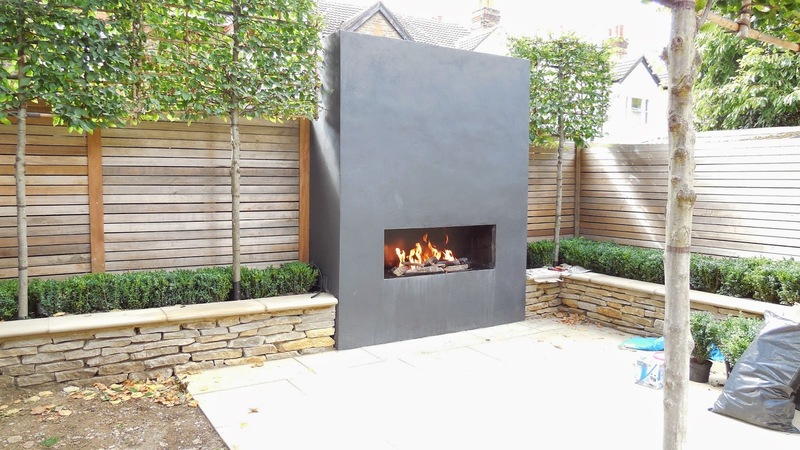 For more than 20 years, Briarwood have provided a discrete, uncomplicated approach to select private and commercial clients, creating beautiful award winning gardens and outdoor spaces throughout London, the UK and Europe.